How is contemporary public consciousness of the Holocaust shaped and communicated? How is commitment to its memory expressed and engendered? 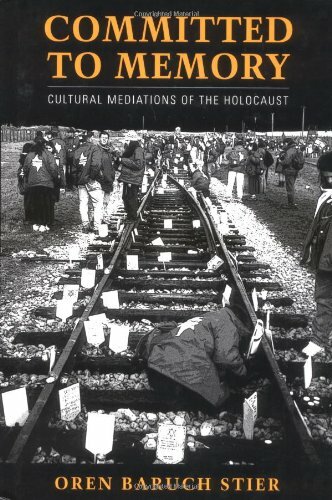 This book offers a close and critical analysis of a range of cultural activities that mediate the Holocaust for a public increasingly distant from the events of World War II. Oren Baruch Stier argues that the manner in which those events are committed to memory, coupled with the fervent dedication to memory exhibited by many people and institutions, produces distinct memorial mediations of the Shoah. Stier discusses how these memorializations emerge, paying attention to the ways cultural memory is embodied individually, institutionally, and technologically. He defines and examines four modes of mediation: iconic, videotestimonial, museological, and ritual-ceremonial. In each context, he analyzes how Holocaust memory is inscribed, framed, displayed, and performed through a variety of media in a range of settings. Topics include the use of Holocaust-era railway cars, Art Spiegelman's Maus volumes, novels by Emily Prager, Martin Amis, and Elie Wiesel, and a CD-ROM that incorporates excerpts from Holocaust survivor testimonies. Institutions examined range from Washington's U.S. Holocaust Memorial Museum to Los Angeles's Museum of Tolerance, from Yale's Fortunoff Video Archive for Holocaust Testimonies to the Visual History Foundation created by Steven Spielberg, to the international teen pilgrimage that is the March of the Living. In the end, Committed to Memory asks what role forgetting can and does play in the memorial landscape, demonstrating how critical attention to our memorial investments, and to the mechanics and media of memory's construction and transmission, can uncover what is both gained and lost in these commitments. A probing study of the various forms of Holocaust memorialization. Oren Baruch Stier is assistant professor of religious studies and associate director of the Judaic Studies Program at Florida International University.